Brent has been teaching classes at BYU since he started his career in Architecture. Brent drove to Provo from Salt Lake after work to teach evening school classes. While in Architecture, Brent had the privilege to be on the Design team on several award winning projects including the Joseph Smith Memorial Building, the Cliff Lodge at Snowbird, and the Marriott Center for Dance building at the University of Utah. It was while in Architecture that Brent was first introduced to Computer Graphics. It was early in the history of Computer Imaging that Brent soon found his interest in Computer Graphics was starting to overtake his interest in Architecture. After returning to Graduate school and earning a Masters of Fine Arts Degree, Brent accepted a full time job as a Professor at BYU. After several years teaching Computer Graphics to students in the Design Department, the Visual Arts Department and the School of Technology, Brent helped create the Animation Major at BYU. Brent currently is the David Evans Chair in Computer Graphics as well as the Director of the Center for Animation. Loosli has worked in animation and live action production for the past twenty two years, working on both the artistic and managerial sides of the industries. He began his career as a clay animator for television commercials at the age of 15. While attending Brigham Young University he received a Student Emmy for his clay animated film entitled Nocturnal. His professional work includes working for both DreamWorks Feature Animation and Buena Vista Motion Pictures at Disney, as well as supervising and coordinating global production efforts on various independent productions. Loosli is the co-creator of the Animation Program at Brigham Young University where he currently serves as the director of the program. He teaches traditional animation, storyboarding and visual development classes while overseeing the creation of both traditional and computer animated projects. In April of 2010, Loosli was listed as one of ten professors in the article Leaders in Learning from the magazine Variety. He lives in Draper, Utah with his wife and two children. Seth studied Animation and Computer Science in college, then jumped directly into an internship at Pixar Animation Studios. He spent over three years at Pixar, starting out rendering final film frames for Cars. His principle role was an Effects Technical Director, creating environmental effects (dust, water, explosions, etc.) for Ratatouille, WALL-E, and Up. Now he is teaching 3-D animation art classes and doing research in physical dynamics simulations for film. Sam Nielson graduated from Brigham Young University in 2007 with a Bacherlor's degree in Animation. He later returned to to BYU as a part time teacher for the animation program, and in 2014 became an Assistant Teaching Professor for the Visual Arts Department and later for the Department of Design. While at BYU, Nielson was involved in the production of Pajama Gladiator. Nielson pitched the original story, worked with Joe A. Olsen to do the majority of the character and environment pre-production art, and animated a couple scenes including the "Cyclops freaks out scene" at the end of the battle. In 2008, Pajama Gladiator won the Producer’s Choice and the Viewer’s Choice awards at the Nicktoons Network Animation Festival. Pajama Gladiator also received second place at the Student Emmys in 2009. Nielson has since worked as a concept artist for Disney Interactive Studios: Avalanche Software in downtown Salt Lake City. He also occasionally does freelance illustration for various publishers. Nielson lives in South Jordan, Utah, with his wife Marilyn and their four children. 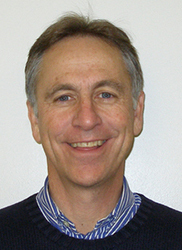 Darl Larsen is the Graduate Coordinator and Associate Professor of Theatre & Media Arts at Brigham Young University. His emphasis is in film genres, film and theatre history, history of animation, screenwriting, and popular culture. He has published Monty Python's Flying Circus: An Utterly Complete, Thoroughly Unillustrated, Absolutely Unauthorized Guide to Possibly All the References From Arthur "Two Sheds" Jackson to Zambesi (2008), as well as Monty Python, Shakespeare and English Renaissance Drama (2003). He is currently working on an animation history textbook, has taught the History of Animation for Animation majors course since its inception, and is the married father of seven. Parris K. Egbert is a Professor of Computer Science at Brigham Young University. He received a B.S. degree from Utah State University in 1986 with a dual major in computer science and mathematics. Upon graduation, he worked for a time for Hewlett-Packard. He then attended the University of Illinois at Urbana-Champaign where he completed masters (1990) and doctoral (1992) degrees in computer science. 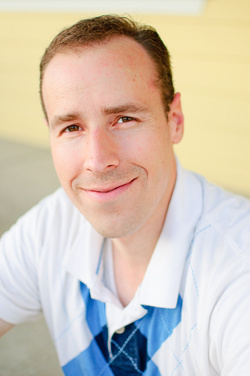 Upon completion of his Ph.D., Dr. Egbert joined the BYU Computer Science faculty. 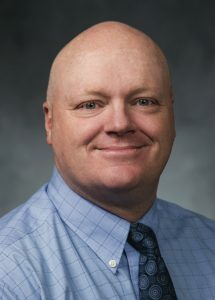 In June 2008 he was appointed Chair of the Computer Science Department at BYU. 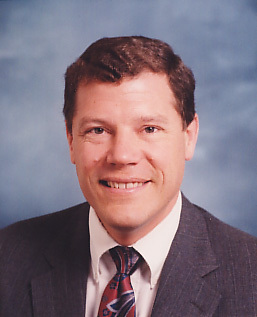 Dr. Egbert's research interests include real-time 3D computer graphics, global illumination for computer graphics, tools for computer animation, and the creation and navigation of virtual environments. His work has been published in SIGGRAPH, CVPR, Transactions on Graphics, Computational Intelligence, and other journals and conferences. Dr. Egbert is a member of the executive committee for the Center for Animation at BYU; he and his students have contributed to several of BYU's award-winning animated shorts in the past few years. Dr. Egbert and his wife, the former Lori Gurr, are the parents of nine children.